Organising an exhibition is not an easy feat. You pour so much of your time and energy into making sure that everything runs smoothly, that your exhibitors are happy, and that your attendees connect with your exhibitors. Now imagine that you poured months of time and energy into organising the perfect exhibition. Your exhibitors are excitedly preparing their space. But your ticket sales have stalled. You’re starting to panic that you won’t have enough attendees to make the event successful. This is a concern that plagues many exhibition organisers, which is why we have detailed some practical tips to increase the ticket sales for your exhibition in future. Partnering with someone who will add value to your exhibition makes sense on a lot of levels. The type of event you are organising will dictate where you should seek and accept partnerships. Industry bodies are great to partner with, as it allows for there to be a new group of interested people to advertise to, that can increase ticket sales. Professional examples of this can be seen across many industries. The Franchise Council of Australia are one example. They organise an annual exhibition that focuses on the multiple aspects of franchising and how to improve franchisee’s experiences. 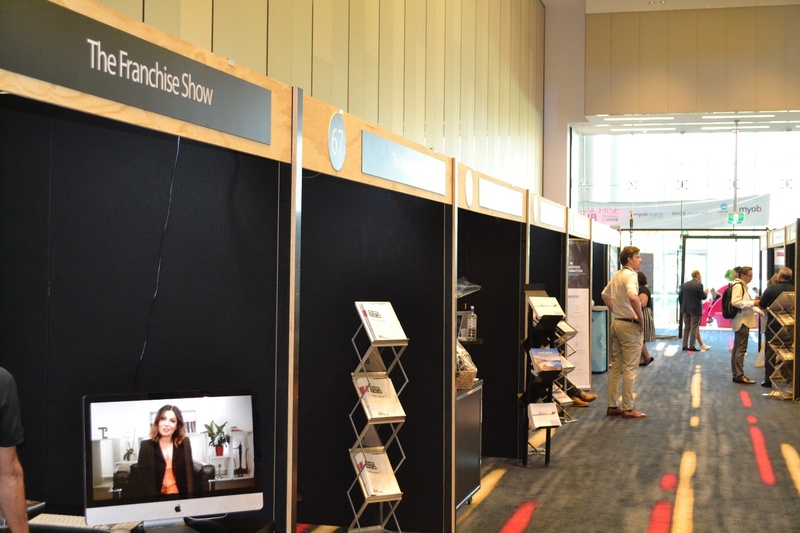 Most exhibitors promote services or products that assists franchisees in the running of their franchises. For this reason, it makes sense that the FCA partner with companies who can help increase their sales by having a vested interest in the exhibition doing well. The FCA partner with a wide range of companies who can all provide different ways to enhance their exhibition and ensure there is a wide audience who are aware of the exhibition and will attend. User experience can often influence potential ticket sales. The design of your landing pages and CTAs (call-to-actions) are a really important aspect of how well each page will perform. You want the right placement of a CTA to attract the maximum attention and conversion, but also consider the prominence of the CTA and the wording. Is it easy for an attendee to see where they need to purchase tickets to attend your event? Once they click on the CTA and intend to buy tickets, where are they redirected to? Is your check-out landing page easy to navigate, or do potential attendees get lost? Creating easy to use pages will increase your ticket sales. Consider how the end user will navigate the process to buy tickets. If your pages and CTAs are not converting at the rate that you would like, it may be time to consider ways to enhance your designs. The first thing to consider is how long it takes for your pages to load; optimal times are a couple of seconds. In fact, Google has found that 53% of people will leave a page if it does not load within 3 seconds. There are some great resources that can help you with designing pages for the ultimate user experience. This article from Hubspot outlines some great things to be aware of when creating pages that enhance the user experience, and this will increase your ticket sales. This seems like a no-brainer, doesn’t it? If you want to increase ticket sales you need to make sure that more people are aware of your event. There is a lot more to ensuring that your exhibition is being promoted effectively than just increasing the awareness. Firstly, promotion should be highly concentrated to your target audience. There is no point increasing promotion budgeting and getting in front of people who don’t meet your target market. They won’t see the value in attending your exhibition, and as such won’t buy tickets. This then becomes an exercise in futility. It can be worth engaging with external sources to promote your exhibition. If you’re time-poor this is an especially great way to achieve your desired results. Proper promotion of your exhibition requires a lot of time to monitor your current promotion techniques and how effective these are. You want to easily measure what platforms you are promoting your event and how well these promotions are performing. There are easy ways to measure what is working. The most obvious is tracking interaction and conversions. How many people are clicking on your promoted materials to learn more information before deciding to purchase tickets, and similarly to this, how many people are buying tickets through your promotional means? Measuring what is working allows you to redistribute your funds to where they are needed the most, which in turn ensures that your ticket sales will increase. No matter your target audience, there will be a large portion who will use their mobile phone to complete a large portion of their tasks. This will include buying tickets to your event. There are ways you can track how people are engaging with your website, and this will dictate how important it is that you have optimised your website for mobile usage. Ideally you will have optimised your website for mobile users, but this can be incredibly important when you are trying to achieve a specific task such as increasing your exhibition ticket sales. Making it easy for your potential attendees to buy tickets from their mobile phone is incredibly important and will help boost your sales. If you research different ways that you can increase ticket sales for your exhibition or event, you’ll find lots of different advice such as run a competition or offer discount prices as part of your strategy. We’re not suggesting that these ideas are not worthy, however you should only engage in them if they suit your industry and your target market. There are variations you can always consider, such as offering discounts that are marketed as “early bird specials”. This appears much more professional rather than offering discount codes to industry professionals. If you are organising an exhibition that is available to the general public, holding a competition is a great way to enhance your promotion and increase ticket sales. Quite often organisers will run competitions that encourage people to tag friends in posts as entry to the competition. This helps with organic reach and promotes your event to a wider audience without you needing to spend money to do so. Be aware that this isn’t something that industry professionals will be interested in engaging in. There is usually a sound reason for an industry professional to attend an exhibition, their time is scarce, and they want to spend their time doing something that is valuable and will be of a benefit to them. They will assess whether your exhibition is something that they want to attend because of the way you market and describe it, rather than because you run a competition. Be smart about the incentives that you choose to increase ticket sales. Any incentive should appeal to your target audience and consider the value that your exhibition will add to their knowledge or entertainment. There are quite a number of event ticketing companies. Most offer the same services and products, however there are a few that stand out above the rest. One such company is Eventbrite. Eventbrite support you to sell tickets to your event, but they also incorporate other services, such as being a trusted and reputable site to search for tickets to events that you may not have otherwise discovered. Eventbrite can also ensure that your exhibition is properly supported to increase your ticket sales, much like they did for Tattoo Expo, which showcases tattoo culture and lifestyle. You can read about their success here. Eventbrite helped Tattoo Expo increase their ticket sales in some of the ways discussed above; ensuring that they were promoting the event where the target audience spent most of their time, i.e. Facebook; ensuring that the event pages were properly optimised so that they could be easily searchable; and also optimising pages for easy ticket purchasing via mobile. By employing the technology that Eventbrite offer such as the Eventbrite Organiser App, the staff at the Tattoo Expo were able to sell more tickets at the door of the event because they could quickly surmise how many attendees had arrived at the event. All of these things can make a big difference overall when increasing ticket sales. If you implement some of these things, you’ll have some quick success in increasing ticket sales to your event. Some of the other things will require a longer lead time to be successful and show an increase in sales. As with anything, it is worth speaking to professionals who are able to help implement plans and strategies to help you achieve your exhibition goals. It can seem like there is a lot to change, and overhauling your whole exhibition strategy can feel daunting, but change can often move you closer to your goals.